Jim McEwan, master distiller at Bruichladdich, arrived yesterday and immediately set me up with visits to Bowmore and Bunnahabhain. What a once-in-a-lifetime experience this will be: Islay, curated by one of the most talented distillers in the world (who also just happens to be a true-blood Ileach). We started at Bowmore, and I was amazed to see that despite being so big, despite foreign ownership, Bowmore remembers its roots. Of course, roots run deep on this island. 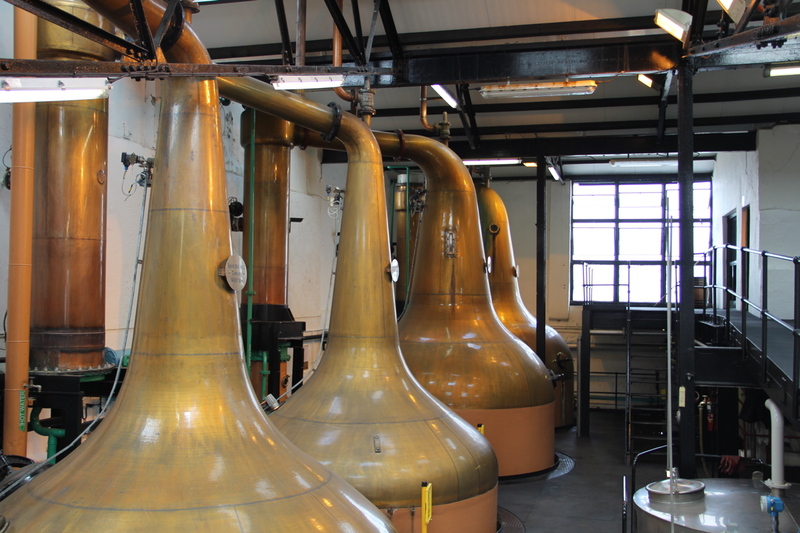 Bowmore was first established in 1779 making it one of the oldest distilleries in Scotland! 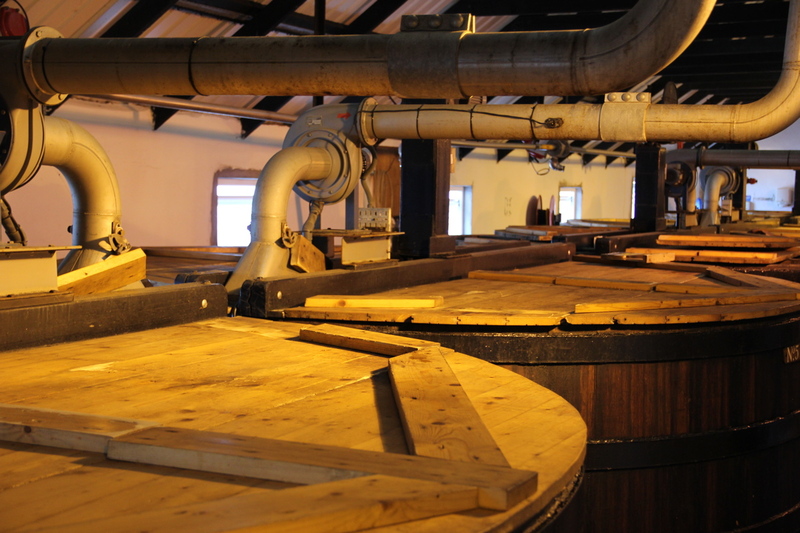 Bowmore uses three warehouses for maturation, two of which are near Port Ellen. The oldest is still on site, and you can see it on your tour along with tools from the last cooper who retired in 1974. 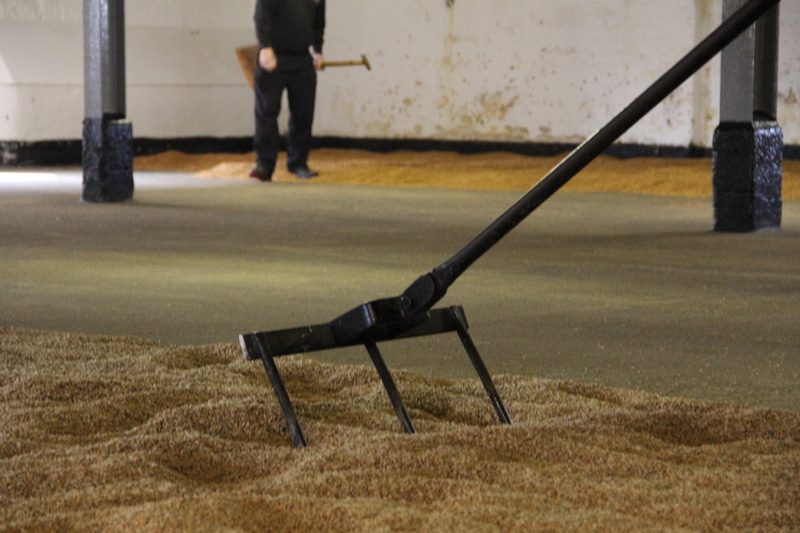 The highlight, though, is the malting floor. 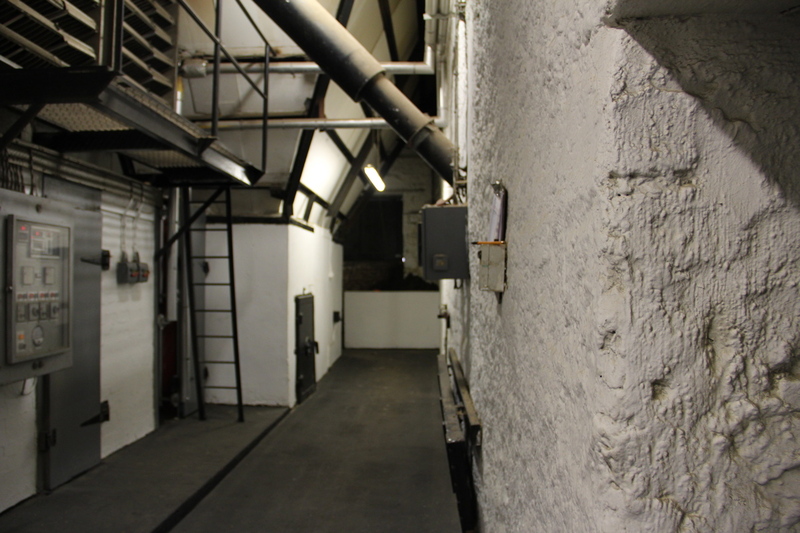 Three malting floors are used, with two great kilns peating a vast room full of moisture-packed barley to consistent phenol ratings of 25-26 ppm. This accounts for 25% of their malting needs. A few years back Bowmore donated an entire warehouse to the construction of a swimming pool and fitness center for the communities of Islay. The pool is heated using the waste water from the distillation process. This is also used to heat some of the other buildings on site. I didn’t bring a swim suit so I have yet to go to the pool. And it is not confirmed whether or not Bowmore whisky is available pool side.